This sky blue, Banneker model home in Capitol Quarter will make you feel like you've found heaven! 2, 500 square feet set over 4 floors, this home boasts 4 bedrooms, 2.5 baths, and a private master suite floor with roof terrace. The open floor plan living level is bathed in light with southern exposure in the gourmet kitchen, highlighting granite countertops and warm wood cabinets and floors. Large bedrooms on the first upper level share a Jack & Jill bath with separate shower room, with laundry conveniently located in the hall. 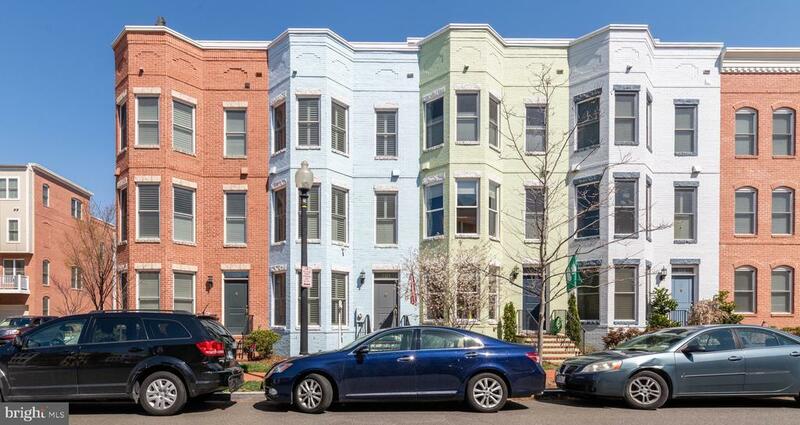 A two car garage will get some use, but save the gas as this home is just a short walk to everything Navy Yard has to offer; grocery stores, restaurants, bars, shops, Metro, and Nats Park!